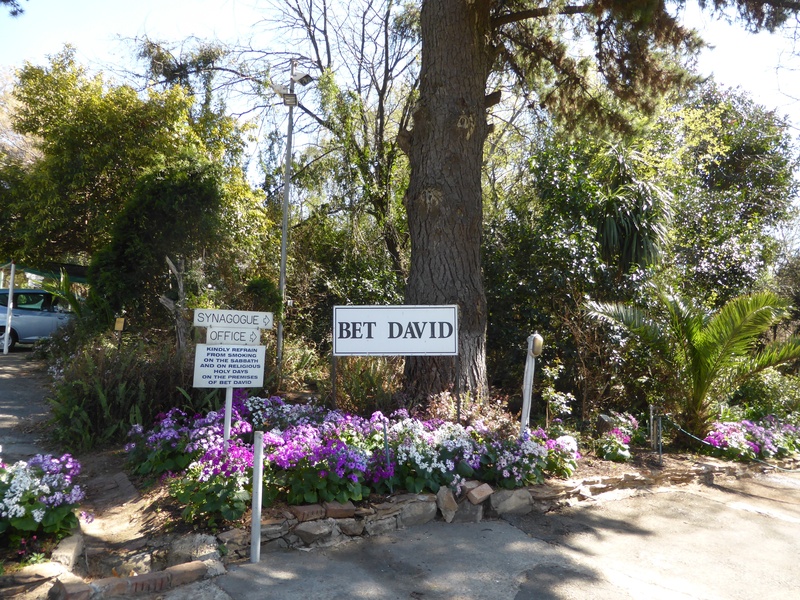 Bet David has been at the forefront of Progressive Jewish thought and practice here in Johannesburg, and nationally, since being established more than 40 years ago. We invite you to learn about our history, our leadership, our efforts to reach out to others, and other facets of our warm and accepting community. Bet David is a Progressive Jewish congregation dedicated to Jewish practice and learning through a vibrant interaction with Jewish history, tradition and scholarship. We strive to create a meaningful, relevant relationship with our Jewish religion and civilization which enriches our lives spiritually and communally. Progressive Judaism upholds the belief that the revelation of God is a continuous process as opposed to a single, historical event. Throughout the ages, people have managed to find God and evolve spiritually and ethically. Certain moral truths, revealed in post-Biblical times have been fully embraced by, and incorporated into Progressive Jewish practice. These include, but are not limited to: Full and equal inclusion of all Jews regardless of gender, sexual orientation, race or ethnicity. We can proudly boast that our constitution embodies ALL of these principles. From then until 1971 services were conducted in the Rondavel. A new Synagogue building was opened in 1977. In addition to the Synagogue, other buildings on the site include three offices, storerooms, a large nursery school, the aforementioned rondavel (currently used as a small function hall or classroom), the original farmhouse (currently used for Sunday Religion School classes and for weekday classes of the Mitzvah School), staff quarters and the site manager’s cottage. Some years ago, the Temple David Trust put in place a strategy to ensure the long term sustainability of Bet David. Part of this strategy was the enhancement of property rights and the development of a new well planned Bet David Campus. The implementation of this strategy has included the design of a new Nursery School, Mitzvah School, Religion School, Offices for Netzer, SAUPJ and Kehillah and a new Synagogue, boardroom, offices and related facilities above the existing Middleton hall. Our new, very modern Shul opened its doors for the first time on the evening of Rosh HaShanah 5778 (September 2017), and will be formally open in February 2018. The Middelton hall seats 250 people and provides a beautiful venue or all events such as weddings and Bar/Bat Mitzvot. Current membership stands at around 350 family units. Religion School classes are conducted on Shabbat mornings before services. Adult education classes are on Thursday evenings, Saturday mornings and monthly on a Sunday afternoon. Progressive Judaism has always been outstanding in its dedication to Tikkun Olam (Social Outreach – literally: Healing the World). In 1986, during the height of Apartheid, members of Bet David opened the Mitzvah School and since then have been teaching pupils from Alexandra township for their final year of school (Grade 12) leading to Matriculation. For the last few years, this outstanding school has achieved a 100% matriculation pass rate. Mitzvah School pupils have gone on to become highly successful in many different walks of life and always express sincere gratitude for the wonderful environment and dedicated teachers at the school. Visitors to Bet David invariably remark the unique architecture of our new Shul and the quality of the outstanding Choir. Both aspects contribute towards the warm and beautiful Shabbat Services and various Chagim (Jewish Festivals). With the assistance of our Reform Youth Movement – Netzer – Bet David provides stimulating Children’s Services on Shabbat mornings making Shabbat at Bet David an uplifting experience for the whole family.